View a video of Pete Bunce’s testimony. Chairman LoBiondo, Ranking Member Larsen, distinguished members of the Subcommittee; my name is Pete Bunce and I am the President and CEO of the General Aviation Manufacturers Association (GAMA). 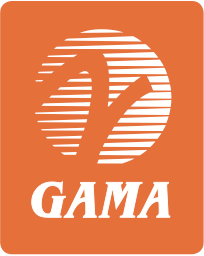 GAMA represents over 85 companies that are the world’s leading manufacturers of general aviation airplanes, rotorcraft, engines, avionics, and components. Our member companies also manage airport fixed-based operations, as well as pilot training and maintenance facilities worldwide. I appreciate the opportunity to testify today regarding the competitiveness of the U.S. aviation sector and look forward to providing perspective as a representative of manufacturers and the general aviation community. We applaud the leadership of the Committee and Subcommittee for focusing on this critical issue. General aviation (GA) is an essential part of national transportation systems in the U.S. and around the world. It is especially critical for individuals and businesses that need to travel and move goods quickly and efficiently in today’s just-in-time market. Equally important, GA is a contributor to economies around the world. For example, in the U.S., GA supports over 1.2 million jobs, provides $150 billion  in economic activity and, in 2013, generated $5.6 billion  in exports of domestically manufactured airplanes. The market for GA aircraft has shifted tremendously in recent years, with over 50 percent of billings linked to the export market . This poses new challenges but, perhaps more importantly, huge opportunities for industry and the U.S. government. A report released in May 2012 by the United States International Trade Commission (ITC)  looked at the factors shaping the competitiveness of the U.S. business jet industry from 2006 to 2011. The study found that three of the six global business jet manufacturers are headquartered in the U.S., while the other three producers have U.S. production activity. Additionally, the U.S. is the principal source of key parts and systems for all of the world’s business jet manufacturers. The report found that competition in the industry is strong, frequent technological upgrades are necessary, and demand is cyclical. The ITC also determined that aircraft sales and development are affected by the availability of financing, investment in research and development, aircraft certification, and issues such as airspace management and taxes/fees. Finally, the study concluded that workforce development is essential to the industry’s continued success. Maintaining global competitiveness and leadership of both the Federal Aviation Administration (FAA) and industry is critical for our nation’s aviation system and continued contribution to economic strength. Aviation safety, National Airspace System (NAS) efficiency, and environmental progress depend on the success of aviation manufacturers and aircraft operators. Our manufacturers stand ready to help drive innovation and investment but, too often in the past, and despite their best intentions, FAA policy and procedure hinders the industry’s ability to efficiently develop and deploy new aviation products and technologies. We must remove unnecessary obstacles if we are to improve aviation safety and keep manufacturers competitive in the global marketplace. I would like to thank this Committee, and its leadership, for the interest and oversight that it has shown in understanding the importance of certification to safety and the economy. Simply put, an inefficient and ineffective certification process adds costs and delays to delivering aviation products and technologies that enhance safety and the competitiveness of manufacturers. The willingness of this Committee to support this issue is appreciated and is helping to drive reform. There is, however, much more progress that can and should be achieved to meet the laudable goal of enhancing the competitiveness of aviation manufacturing and exports. To address these process bottlenecks, and minimize ramifications to industry in terms of time and cost, GAMA continues to work with the FAA to fully implement improvements based on Section 312 of the FAA Modernization and Reform Act of 2012 (P.L. 112-95). This section is helping drive several recommendations to improve the effectiveness and efficiency of the certification process which allows the FAA to better focus limited resources on priority safety activities. Much time and effort have been applied, but much more work remains. As this Committee knows, the type certification process is basically a verification review of thousands of individual discreet compliance activities the manufacturer undertakes to show the design meets the safety standards. To leverage its limited resources, and supplement them with the best expertise available, the FAA can appoint and oversee designees who are qualified industry individuals or organizations authorized by the FAA to make the verification inspections necessary to support the FAA’s issuance of product design certificates and approvals. The FAA has identified many changes that are important to effectiveness and efficiency, but the full implementation of these improvements has been slow. One of the leading initiatives, the Organization Delegation Authorization (ODA) program, builds on experience with past delegation activities. FAA established the ODA in 2005 to improve the safety, quality, and effectiveness of delegation programs and expand the use of organizational delegation to all type-certificated products. This has the potential to significantly reduce the FAA’s administrative workload by appointing organizations with the required qualification, experience, and management systems to supervise the day-do-day activities of individuals authorized to perform certification activities. By shifting to a systems safety oversight approach of these organizations, the certification process can be more effective because the same FAA resources can now focus less on administrative supervision of individuals and more on safety-critical activities and support for new and evolving technologies. This will also enable the FAA to better support a continuously growing level of aviation industry activity in an efficient and timely manner, reducing delay and cost. Despite a strong commitment to the development and implementation of ODA, the key benefits have been slow to be fully realized by industry and the FAA. Manufacturers and the FAA have invested significant resources in establishing and qualifying ODA organizations. However, the practical implementation and use of ODA authorizations have been inconsistent from one region to another and even from project to project for the same manufacturer. Our members regularly experience situations where their company has obtained full FAA ODA authorization to conduct specific technical certification activities, but on a project-by project basis, the FAA engineers and specialists choose to be directly involved in these activities themselves and not utilize the available FAA authorized ODA resources. This inefficiency adds significant delay and cost to certification programs—not only for those manufacturers that have an ODA, but also for other standard certification projects that are waiting on these FAA resources. In these situations, the FAA workforce has not shifted to a systems safety approach for product certification that makes better use of FAA-authorized activities and FAA oversight resources. We need your continued help to impress upon the FAA –from top to bottom—to fully implement and utilize important tools. Where ODA delegation and systems oversight is fully utilized, it is delivering efficiencies and benefits to all stakeholders. Of relevance to both ODA and certification process reform more generally is culture and change management at the agency. The Section 312  report calls on the FAA to develop a comprehensive change management plan for its certification workforce. GAMA feels the implementation of this plan is critical for the successful execution of needed certification improvements. We believe it lays the foundation for the FAA workforce to adapt to the changes required in their work and to be successful in any transition. 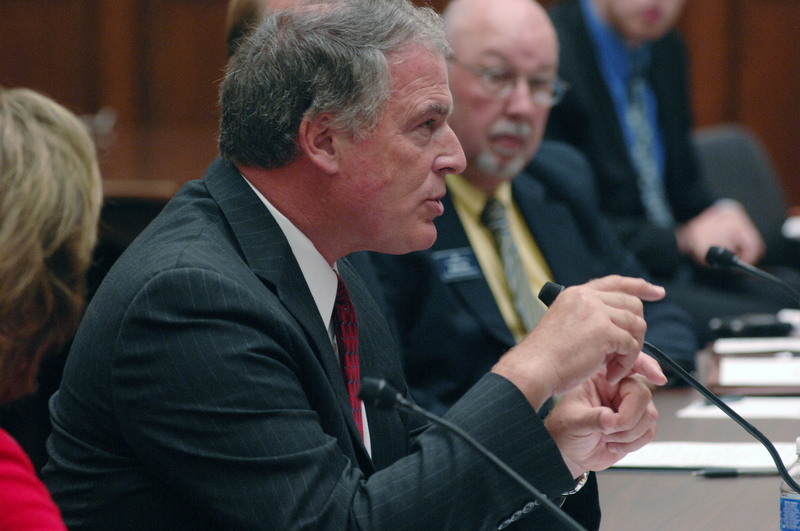 Too often, FAA has developed solid plans only to fail at implementation. The execution of an effective change management plan should help address these shortfalls and we hope the Committee will work with us and the FAA to drive the appropriate initiatives in training, recruitment, and performance assessment. One example of FAA’s struggles with implementation is its inability to implement an end to its policy of sequencing certification programs. The FAA initiated the “sequencing” program in 2005 to manage workflow by delaying the start of new certification projects. This is extremely frustrating to manufacturers, as it makes the FAA certification process unpredictable and uncompetitive, forcing companies to wait on the FAA for an unknown period of time. In particular, we have heard from numerous small businesses within our membership that have faced missed business opportunities, or even had to contemplate going out of business, because they have not received timely response from the FAA on a project that had been sequenced. This negatively impacts the global competitiveness of our industry. More than two years ago, the FAA began a process to replace the current sequencing program with a completely new project prioritization and resource management procedure that would no longer delay the start of new certification projects. The agency should be commended for this effort and proposal, but it has yet to be implemented. GAMA finds this unacceptable—there is a distinct difference between a proposal to address a problem versus actual implementation of the new policy and procedure. Unfortunately, this failure to replace the sequencing policy continues to negatively impact manufacturers of all sizes. Another area where we see significant challenges is in the certification and installation of equipment and safety enhancing technologies in rotorcraft. As this Subcommittee knows, the FAA has separate directorate offices that are responsible for airworthiness standards and certification policy for large transport airplanes, small airplanes, and rotorcraft. While we have seen the beginning of successful policies which facilitate the streamlined certification and approval for installation of safety enhancing equipment in small airplanes, this continues to be a challenge for the rotorcraft community. It is critical that Congress, FAA and the industry put a focus on rotorcraft to see how new safety technology can be installed in an efficient and effective manner. FAA’s Flight Standards Office certifies new pilots, approves and oversees operators and airlines, and issues the certifications of maintenance providers. This office would benefit from a top-to-bottom review of how to achieve efficiencies. Earlier this year, the FAA’s Director for Flight Standards stated that the agency has a backlog of over 1,000 certifications and authorizations pending in the national queue. The failure to address this backlog is impeding companies to conduct their business, operators to use their aircraft, and new entities to enter the industry. The backlog and need for streamlining has been identified in several studies, including the direction from Section 313—Consistency of Regulatory Interpretation—of the FAA Modernization and Reform Act, and the 2009 RTCA Task Force 5 recommendations. The thrust of Section 313 was to ensure that regulations are applied equitably and consistently by different regional offices of the FAA. In working with industry, the FAA has put together solid concepts and ideas to address inconsistencies, but has failed to move forward with implementing these recommendations in almost any way. This is yet another illustration, similar to ODA, where a decision can vary from office to office and implementation issues have implications for manufacturers, and businesses, of all sizes and scope. In addressing these issues, FAA has models to work from and where it has cooperated with industry to improve the Flight Standards processes to focus the agency’s resources on areas of risk as opposed to turning paperwork. A recent example is the FAA’s publication of a new policy for how to process authorizations to operate in Reduced Vertical Separation Minima (RVSM) airspace. RVSM is one of the key capacity enhancements that have taken place since the NextGen program was created. Other areas could benefit from this kind of FAA-industry partnership particularly in repair station inspections and audits where limited resources can be better targeted through a risk-based approach that eliminates unnecessary redundancies. Today, however, we face similar authorization needs to use other NextGen capabilities, including for communications, navigation, and surveillance. The FAA is working with industry through the Performance-based Aviation Rulemaking Committee (or “PARC”) to identify these types of opportunities to save the government money, facilitate industry activities, and limit repetitive paperwork that doesn’t add to safety. GAMA and a number of our member companies are participating in these activities and ensuring that the FAA continues down the path of streamlining authorizations. This will support the success of NextGen and appropriately use government and industry time and resources for safety. It is GAMA’s hope that we can better address the issue of how, after our manufacturers have developed, certified, and obtained installation approvals for NextGen equipment, the Flight Standards organization more efficiently intervenes. This should be an area ripe for streamlining and improvement. GAMA continues to believe that key to safety is our manufacturers’ success. Our member companies are constantly developing new products that above all enhance safety beyond what is found in the average airplane today. Safety is improving but we can, and should, do more. I would like to once again thank the members of this Subcommittee for their leadership on the Small Airplane Revitalization Act, particularly Chairman Shuster, Ranking Member Rahall, Chairman LoBiondo, Ranking Member Larsen, Representative Graves, Representative Lipinski, Representative Nolan, and the entire Subcommittee for their support in ensuring its passage. This law is a critical first step to regulatory reform of airplane design requirements focused on streamlining the FAA certification process and making real-world safety improvements. We can have the best research programs and the most innovative technology, but if products cannot get to market, it is of no benefit to manufacturers, users, or the cause of safety. The Small Airplane Revitalization Act charts a new path, promising safety benefits and hope to a part of the industry that has struggled with the economic downturn that occurred over the last several years. I’m pleased that statistics show that GA accidents are decreasing . For example, accidents that are classified as controlled flight into terrain (CFIT) have virtually been eliminated . Why? Technology is helping pilots to fly more smartly, and safely. It provides better terrain and weather information, improved situational awareness for pilots so that they can understand where their aircraft is as compared with other aircraft in the NAS, and more accurate and precise navigation in the air and on the ground. We will continue to see further gains as users equip with new safety technology. At the same time, our membership and staff continue to focus on ways to improve safety for manufacturers and those that use our products. This concept is underscored by the new technology that is coming to market which is intended to help operators become NextGen-compliant. As the Subcommittee knows, the FAA, industry, and Congress have committed to equipage of automatic dependent surveillance-broadcast, ADS-B, technology by January 1, 2020. The ground infrastructure is in place and the investments of the FAA, and taxpayers, are deployed. We have manufacturers that have products available that are affordable, reliable, and ready to install. And more are coming to the marketplace. It is incumbent upon the agency to ensure that the necessary resources are provided for the approval of this safety-enhancing technology, but also to ensure that users adopt it in a timely manner so that the entire NAS can derive the benefits of NextGen. As manufacturers try to take advantage of more markets, issues like aviation infrastructure, tax policy, airspace management, and relations with aviation regulators become even more important. It is critical for the U.S. government and industry to advocate for policies that will help underpin aviation growth in the global environment. As an example, the Asia-Pacific Economic Corporation (APEC) Ministers have endorsed a set of “Business Aviation Core Principles” to provide a more flexible operating environment for non-commercial business aviation. If implemented, this will help open markets, create employment, and strengthen trade links between the U.S. and its 20 partner economies in APEC. We appreciate the support from U.S. government agencies in these efforts, including the DOT as well as the Departments of State and Commerce. We firmly believe, however, that these agencies, particularly the FAA and DOT, must stay engaged and demonstrate continued leadership, because while the potential to grow general and business aviation is tremendous, so are the challenges. This leadership is linked to the certification reforms that we discussed earlier and underscores the importance of proactive leadership by the FAA in supporting its certification and safety activities globally. The FAA has historically been viewed as the gold standard for certification around the world. It is my belief that we are still leaders in this area—in aviation, and in aerospace—but other authorities continue to gain expertise. To illustrate this point, other countries are questioning the FAA’s certification basis as aviation products are exported to more countries and markets. It is imperative that the FAA actively promote and defend the robustness of its safety certification globally to facilitate acceptance and/or streamlined recognition of U.S. products—direct engagement with their regulatory counterparts is a necessary part of that effort. This issue is less of a problem with bilateral partners such as Europe and Canada, where a formal agreement promotes streamlined acceptance of products certified and manufactured in our countries. However, even in these cases, the validation of aviation products under bilateral agreements continues to be difficult for manufacturers. At a time of growing exports, any delay in delivering aircraft, after the lengthy U.S. certification process, is very harmful. Efficiencies gained in the certification process may provide room for more aggressive safety advocacy and leadership by the agency. The FAA must also work with the International Civil Aviation Organization (ICAO), other aviation authorities, and industry to facilitate acceptance or streamlined approval of certifications through outreach, bilateral agreements and ICAO. We believe the Committee should closely examine this issue, and the impact on our competitiveness, as we approach the next reauthorization, and we look forward to working with you to develop ways to best address this concern. Growing international exports have helped sustain the GA industry through the past five or six years. A decade ago, the U.S. typically accounted for four out of five airplane sales, but in 2012 the market was split: half of the U.S.-manufactured airplanes produced by GAMA’s members went to North American customers, and the other half went to customers in other parts of the world . While Europe was our lead market outside North America in 2013 at 14.8 percent of total unit deliveries, the Asia-Pacific region is a close second at 13.8 percent . We have also seen the Latin American market grow strongly; it now accounts for over 11 percent of the world’s airplane sales . The helicopter market is leveraged even more outside the U.S., with customer demand over the next five years accounting in Europe for 28 percent of projected deliveries and the Asia-Pacific region 19 percent, according to Honeywell . The Export-Import Bank of the United States (EXIM) has played a key role in facilitating GA aircraft sales into emerging markets. As mentioned earlier, the GA aircraft market is highly competitive. There are producers of aircraft and products throughout the world, and many of these countries have Export Credit Agencies. U.S. manufacturers cannot afford to have the EXIM leave the playing field. There is too much at stake for U.S. jobs and the economy. For example, 10 years ago, we typically financed only a handful of airplanes a year through EXIM at a value of less than $100 million per year. However, in the midst of the recent economic turmoil, the bank increased its support for GA and we identified over $800 million in transactions in 2009 . The bank set a goal to provide $2 billion in funds to GA exports by the end of 2014–the bank has already exceeded $1 billion in funding towards this goal and did so ten months ahead of schedule . The bank’s work also reaches down to support small businesses that are aircraft manufacturers and suppliers. Air Tractor, which is a small, employee-owned company in Olney, Texas, manufactures agricultural and firefighting aircraft and leverages the bank as part of the company’s export transactions. Air Tractor has been able to increase its exports over the past decade with the help of the EXIM bank, and the company reached record production in 2012 . Its aircraft are delivered to customers in Argentina, Brazil, China, Australia, and Spain through joint export guarantees between EXIM and the Canadian equivalent Export Development Canada. EXIM also partners with Gulfstream Aerospace, a Savannah, Georgia-based manufacturer of large and mid-size business jet aircraft. Gulfstream currently has a $12.9 billion backlog, which is 60% international . Over the past several years, there has been a significant increase in the company’s sales to international customers. In 2003, 18% of the company’s 1,200 jet aircraft were based internationally. In 2013, this figure increased to approximately 2,200 aircraft, with 35% internationally based. The support received from the Export-Import Bank allows Gulfstream to be more competitive around the world and enabled it to grow the number of employees in the United States. Gulfstream has added more than 7,000 jobs to its workforce since 2006. The Export-Import Bank earlier this year announced the guarantee of a $300 million loan  to finance the purchase of eight Gulfstream aircraft, which supported approximately 2,100 jobs in the company—clearly illustrating the importance of the Export-Import Bank to the company, the U.S. aerospace industry and the overall economy. Another component supporting global competitiveness is leveraging the strong research and development programs that are conducted by GAMA companies to ensure they can bring new technology and products to market. We support extending and making permanent the Research and Development Tax Credit to further these programs. This is the minimum that should be done given the U.S. was once a leader in encouraging research and development and we are now behind 23 other Organization for Economic Cooperation and Development (OECD) nations in providing research and development incentives to the private sector. The key to any successful company is its workforce. The aviation sector is no different. Increasingly, however, our member companies find it harder to attract and retain the talent pool necessary to maintain and grow aerospace leadership. To maintain competitiveness, we need a workforce that is ready and available in areas where our manufacturers are located. Earlier this year, GAMA, Build A Plane, and Glasair Aviation collaborated to provide high school students from Sunrise Mountain High School in Las Vegas, Nevada with the ability to experience aviation manufacturing firsthand in Washington state. We appreciate that Ranking Member Larsen, who represents the district where Glasair Aviation is located, took the time to visit the company and these students as they completed the build. By way of background, these sponsors hosted a nationwide Science, Technology, Engineering, and Math (STEM) competition that attracted applications from 79 schools in 33 states and Washington, DC. Applicants used complimentary “Fly to Learn” curricula and X-Plane software which allowed them to design and fly their own virtual airplanes with scores determined by aerodynamic and performance parameters. The winning students, a teacher, and two chaperones spent part of their summer in Washington State at Glasair’s Arlington facilities and helped to construct a Glasair Sportsman aircraft. Sold as kits, the plane was assembled with Glasair employees’ assistance in just two weeks through the well-known “Two Weeks to Taxi” program. GAMA member companies contributed financial resources for the students and staff during the build. At the same time, GAMA is participating in a public-private partnership that aims to address workforce challenges in the aviation sector. The National Aviation Consortium (NAC), in conjunction with the Department of Labor, aims to partner with community colleges in Indiana, Kansas, North Carolina, Oklahoma, and Washington to provide certified industry-driven training to entry-level workers in the aviation sector. This endeavor will target veterans as a key demographic, and provide all enrollees with knowledge in specialized areas such as assembly mechanics, electrical assembly, composite repairs, quality assurance, and tooling. Students will obtain certification from the NAC by successfully completing a core program as well as an area of focus, and will then be positioned for an entry-level job or have the ability to further their education. We believe it is important to partner and work with programs where the objective is clear – to sustain and grow our industry. From a broader perspective, the Department of Transportation created an advisory committee to develop recommendations to help ensure that aviation remains “vital, competitive, sustainable, and above all, safe”  via the Future of Aviation Advisory Committee (FAAC). The FAAC looked at a myriad of areas, but one worth highlighting is STEM education programs. The recommendations include developing key strategies and program areas of outreach for students of all ages, a focus on subject areas for current and future workforce needs (such as NextGen), additional management development through internships or fellowships, and strengthened partnerships with industry. At the same time, the FAAC encouraged greater collaboration and coordination with industry and within agencies and government to centralize and focus efforts. One specific recommendation included assigning the DOT Assistant Secretary for Administration the task of developing, overseeing, coordinating, implementing, and integrating a strategic workforce development plan. GAMA believes these recommendations provide a good starting point for discussion on workforce development. Chairman LoBiondo and Ranking Member Larsen, thank you for providing me the opportunity to discuss with the Subcommittee an overview of the importance of maintaining and growing our industry and competitiveness. As a pilot, I am constantly refining and learning new skills to enhance my awareness and ability in the cockpit of aircraft that I fly. As an industry, with the support of government safety regulators, we need to do the same to ensure we maintain our leadership in the aviation sector. GAMA and its member companies look forward to working with you on the next reauthorization bill. It provides a tremendous opportunity, under your leadership, and Chairman Shuster’s and Ranking Member Rahall’s, and all the members of this Committee, to maintain and strengthen the global competitiveness of the aviation industry. Thank you. I would be glad to answer any questions that you may have.